GCL: 2016 draftees and RHPs Jacob Howell and Phil Morse got bumped to Auburn after one appearance each in the GCL. Auburn then sent Angelo La Bruna, Robbie Dickey and Randy Encarnacion (who probably should have been higher honestly) to Hagerstown. This will be Dickey’s third shot at Low-A but he was clearly not touchable in Short-A (8ip, 1H 11Ks in 3 outings so far this year). Hagerstown then bumped up two great hitting prospects Max Schrock, Victor Robles and Trey Lambert to Potomac. Robles and Schrock were both all-stars and both were flatly out-hitting Low-A. Lambert has quietly been toiling in the bullpen and had a 27/2 K/BB ratio this year. I tell you, i’m really starting to get excited about Robles, and I think Schrock is turning into a draft day steal. Potomac then bumped up Drew Ward, Andrew Stevenson, Ryan Brinley and Boone Whiting to AA. Three of these four were all-stars this year, and Whiting was in AAA all of last year so was wasting his efforts in high-A. Kudos for Ward to get the promotion and get his prospect career back on track, and even more kudos for Stevenson to earn such a quick promotion to AA. Harrisburg then moved up Chris Bostick, Zack Collier and suddenly dominant starter Reynaldo Lopez to Syracuse (they also put Wander Suero on the TIL list to account for the four promotions). How about the season Lopez is having? As noted in the comments, he’s leading AA in K/9 while maintaining a 3+ K/BB ratio. Syracuse’s corresponding moves were mostly bloodshed: they released Scott Sizemore, Tony Campana and RHP Juan Gutierrez to make room. They also promoted Rafael Martin for at least the day. Lopez isn’t going to be pitching out of the bullpen though, so I’d imagine that Jared Long will get demoted to fill the vacated spot in AA. Why is there an extra spot in AA’s rotation? Because Lucas Giolito got called up! Mid Monday the announcement came out; he’s making the start on Tuesday. Get your DVRs ready! I won’t go into Giolito too much; we all know what he’s supposed to be. Question is; will he live up to the hype? After reviewing all the 2015 pitching staffs, I projected where I thought everyone would start in 2016. Now that the four full-season affiliates have been announced, lets see how my predictions turned out. As always, the Big Board (maintained by SpringfieldFan) is a great resource to track everyone. Notations here: * = lefty, ^ == new off-season acquisition. Also, “Missing” usually means “Stuck in Extended Spring Trianing/XST” or in organizational limbo. Discussion: only one surprise from the pre-Spring Training prediction for this team: Matt Belisle makes the team ahead of Trevor Gott. Otherwise everyone is in the roles they were acquired to hold. 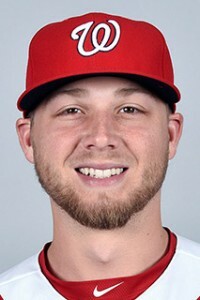 There was some question about whether Blake Treinen would get optioned early in the spring, but not now. The order of the starters wasn’t right: Ross is being treated like the 4th starter and Roark the 3rd, I guess. It probably wasn’t too hard to predict 12 out of the 13 spots in the MLB roster, so we won’t pat ourselves on the back too much. Lets talk minors. Discussion: No surprises in the Rotation: we predicted 7 guys in the AAA rotation competition and ended up with the 5 we predicted, a 6th as the swing-man/spot starter and the 7th (Arroyo) on the D/L for the time being. The bullpen has some surprises: Gott as previously mentioned was projected in the majors; the other 6 bullpen members were in the 10 projected guys competing for the AAA spots. Two guys got pushed to AA. Brady starts on the D/L. Both my release candidates did in fact get released, along with off-season MLFA Velasquez. The real surprise making the AAA team was Masset. Burnett opted out when he didn’t make the MLB team, but it wasn’t a stretch to predict that happening. No real projection surprises though, all in all. Nobody who we projected to start in AA got moved up; only a couple guys who got moved down (Bacus and de los Santos). I’m slightly surprised de los Santos is in AA and it makes me question even more his 40-man add and usage last year (3 days of service time and now two options blown). The big surprise here is that Austen Williams made the AA team; I had him at High-A. Perhaps it isn’t THAT big of a surprise given how well he pitched last year, but it does seem to go away from the Nats’ proclivities to start guys at their prior season’s level and have them “earn” early to mid-season promotions. He joins a pretty high powered duo of Giolito and Lopez. Gorski was an off-season MLFA brought in for competition and he didn’t win. Only one of my four release candidates was in fact released (Dupra): the other three got dumped to XLS or High-A, which is good for them but not good for the massive log-jam of recently drafted college arms who need spots in A-ball. In the bullpen, we’ve talked before about the surprising release of Jake Walsh. There’s 5 guys stuck in XST limbo for now, a couple of which are release candidates. One name that popped out of the blue is Robert Fish, who signed an under-the radar MLFA deal in mid February and who apparently hasn’t pitched professionally in two full seasons. He must have had a pretty good spring. Discussion: My High-A predictions show just how out of whack my “reading the stat lines” predictions can be, especially for starters. In the Rotation, AWilliams earned a jump to AA. I thought Dickson and Van Orden were solid rotation candidates; instead they got released. Lastly, I thought both Estevez and Reyes were repeating Hagerstown; Estevez missed the whole season and Reyes posted a 4.82 ERA there last year. Instead they’re opening day starters for Potomac. Not even close here. In the Bullpen, we got Johanssen, Orlan, Glover, Brinley, Sylvestre and Turnbull right (not too bad prediction wise), though the last couple guys are on the D/L and still may be release candidates. Who did we miss on? Robinson was an off-season MLFA (who signs MLFAs for high-A? ), and Sanchez I had projected to repeat after posting a 4.86 in Hagerstown last year. From a starter standpoint, we did a pretty good job projecting who would be in Hagerstown’s rotation. Four of the Six projected candidates “seem” like they’re in the rotation (full disclosure, we’re kind of guessing who these teams are using as starters until we see the first turn through the rotation). The misses? LReyes, who surprisingly is in High-A, and Guilbeau, who I thought would be on the team but in a relief role. In the bullpen; we missed on Sanchez (who made High-A), Borne and Gunter (both of whom are in XST for now). In their place are a slew of guys who I was projecting to be elsewhere. I thought both VanVossen and DeRosier were release candidates after poor 2015 seasons in Short-A; instead they’re in the opening day bullpen. I had LTorres in the Short-A bullpen after mostly failing as a short-A starter. Lastly there’s Bach and RPena; I had both projected in Potomac. I thought Bach had a perfectly good Low-A season last year and has nothing yet to prove in the Sally League. Pena returns to Hagerstown for the third time; he pitched in Low-A in 2013 and 2014. You have to think this is a planned short stint before he returns to at least High-A. No real surprises in the “Missing/XST” crew: Dickey is the biggest profile name here but it seems to me he was injured last year so its hard to pass judgement on his stats anywhere. Borne‘s numbers were basically identical to the likes of Hearn and Guilbeau’s; he missed out in the 2016 competition. Gunter might make sense as a mid-season promotion to cover for injury. Ramos was hurt most of the year last year. In the “release candidate” section, I was clearly wrong about Estevez. DWilliams and Boghosian have already indeed been released. And both Mooney/Pirro missed out on the full-season roster and are in XST limbo. Let the games begin! Are there surprises for you guys in these rosters? For some historical perspective, here’s 2013’s version (featuring Pedro Encarnaction), 2012’s version (Aaron Barrett was the feature pitcher) and 2011’s version (Taylor Jordan the feature pitcher) of this post specifically for Hagerstown/Low-A. Had I done this post in 2014 I would have “featured” Lucas Giolito, who dominated in 2014 for the suns (10-2, 2.20 ERA). All stats are courtesy of either milb.com’s Hagerstown 2015 Stats page or via Fangraph’s Hagerstown 2015 page. Also useful here are the Big Board and the Nats Draft Tracker since so many of these lower-minors guys are recent draftees. Note; while its relatively easy to do reviews for the upper levels of the system, once we get lower we’re usually talking about a lot of short sample sizes. I’ll depend on text from my “draft class” write-ups where appropriate. Hagerstown starters. The rotation started the season with AWilliams, Bach*, LReyes, Van Orden, Valdez. 18 guys got starts in 2015. Here’s an overview of the starters used, starting with the original five starters, going all the way to the rehab spot starts. Austen Williams blitzed the Sally league (8-1 with a 2.10 ERA) and forced a promotion to Potomac mid-season, where he continued pitching well. See High-A write-up for more. Outlook for Next season: High-A rotation to start with an eye on quick promotion. Connor Bach: Posted a 6-4, 3.85 ERA with 106/69 K/BB in 110 ip (20 starts) in Low A as a member of the rotation for much of the season. 4.08 fip, .311 babip. Not too shabby for a 21st round senior sign from a relatively unknown baseball school (VMI). Perhaps too many walks, but nearly a K/inning in full-season ball portends well for his future. At the very least he could move up as a lefty specialist. Outlook for Next season: High-A rotation. Luis Reyes went 6-7 with a 4.82 ERA in 24 starts and 117.2 IP, both leading the Hagerstown squad. 1.42 whip, 4.87 fip. Reyes signed relatively late for a Dominican player (at age 18) but has steadily progressed out of the DSL and through the short-season leagues. This was his first stint in full-season ball and at age 20 could be excused for getting hit somewhat hard. A 72/50 K/BB ratio isn’t promising; he maintained much better K/9 rates in the lower levels. I figure he’ll repeat Low-A looking to improve his numbers and see if he can regain some of his swing and miss stuff. Outlook for Next season: repeating Low-A rotation. Drew Van Orden went 5-5, 3.61 ERA for Hagerstown with 47/34 K/BB in 92ip (15 starts), 4.33 fip, .254 babip. Not a bad season for the under-slot 2014 5th round senior sign, who’s clearly sticking around. 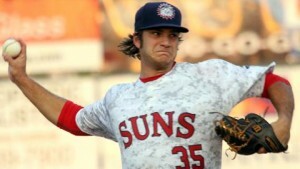 He was mostly a spot starter for Hagerstown this year, getting a bunch of starts during the turmoil of the rotation. 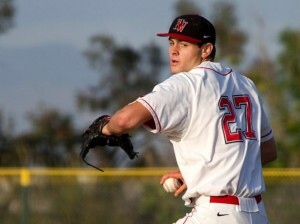 He ended the season on the DL after giving the team 92 decent innings. His FIP is a bit weak thanks to overall lucky BABIP contact but he has given no reason not to put himself into the discussion for that same role in Potomac next year. Outlook for Next season: High-A rotation competition. Jefry Rodriguez bounced between Short-A and Low-A again this season, starting in Hagerstown, pitching most of the year in Auburn and ending in Hagerstown. See the Short-A write-up for more. Outlook for Next season: Low-A rotation. Mario Sanchez was Hagerstown’s long-man/spot starter all year, getting 8 starts in 29 appearances and posting a 4.86 ERA along the way. 70/18 K/BB ratio in 90.2 innings, 1.28 whip, 4.18 whip, .301 babip. Sanchez is even younger than the other DSL grads on this team (he didn’t turn 21 until after the season was over, so 2016 will be his age-21 season). Good control (nearly 4 strikeouts per walk) but was a bit homer prone (11 homers in 90 innings). He’s undersized (6’1″) and I wonder if he’s not destined to continue to be this rubber-armed innings eater for the organization. Its the same way he’s been used all along; few starts but lots of IP per appearance. I also think he needs to improve his numbers before moving up, and he’s young enough to repeat a level without really stalling his progress. Outlook for Next season: Low-A swingman again. Justin Amlung is a bit of an oddity; he’s was a 24-yr old MLFA after getting cut from the Cubs’ high-A affiliate in May of 2015. The Nats signed him and had him repeating Low-A for his third straight year. He (like Sanchez) served as a swing-man, getting 19 appearances and 8 starts for Hagerstown, posting a 4.22 ERA along the way. He had a great 42/7 K/BB ratio in 64 low-A innings, 1.14 whip, 3.70 fip. He was promoted towards the end of the season and had a nice stretch for Potomac before the seasons’ end. He was immediately declared a MLFA but has re-signed for 2016. Outlook for Next season: high-A bullpen/swingman. Matt Purke had 8 starts and 32 IP for Hagerstown during his tour of the Nats farm system in 2015: see AA write-up for more. Erick Fedde evenly split his season between Short-A and Hagerstown. He was 4-1, 2.57 ERA in Short-A Auburn with 36/8 in 35ip (8 starts), 2.60 fip, .346 babip. 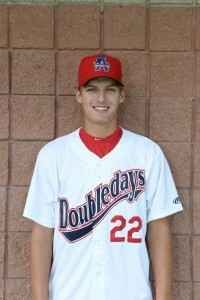 He then got bumped up to Hagerstown where he threw another 29 innings across 6 starts with lesser stats (1-2, 4.34 ERA). A good post-Tommy John debut season for our 2014 1st rounder Fedde, despite the rather restrictive innings limits put on him; he was limited to just 5ip per start for a total of 64ip on the season between two levels. Given his mediocre stats in Hagerstown and the Nats historical promotion schedule, he could start 2016 in the Hagerstown rotation with a quick move up to the Potomac rotation. I could be wrong though; looking at the state of my projected High-A rotation I could also easily see him starting the year in Potomac. There’s just so many arms competing for the Low-A rotation he may be forced up. Outlook for Next season: High-A rotation. 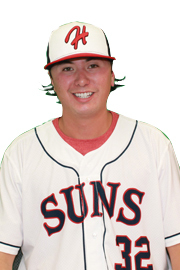 Andrew Lee posted a 5-1, 1.63 ERA across 3 levels, ending up in Hagerstown where he spent most of his first pro season. 47/10 K/BB in 38.2 innings (16/5 starts), 2.19 fip, .250 babip specifically in lowA where he spent most of his time. An intriguing arm for sure and more than held his own in 5 Low-A starts. He’s the fastest riser so far of the 2015 draft class and he’s easily in the mix for the Hagerstown 2016 rotation. Outlook for Next season: Low-A rotation to start; could be a fast riser. Jose Morales got blasted in two Low-A starts after three quick relief appearances in Auburn, then spent the rest of the year on the D/L. Not much to glean from his year; is he a starter or a reliever? He only threw 30-some odd relief innings in 2014; I think he’s being used as a long-man/spot starter arm for now. I would guess he’ll start 2016 in XST with an eye of hooking on with Short-A again. Outlook for Next season: Short-A bullpen. Joan Baez got 3 starts for Hagerstown in June, got hammered, and spent the rest of the year in short-season ball. See GCL write-up for more. 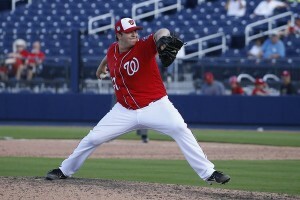 Jeff Howell had two starts for Hagerstown before getting a few more in Potomac as he converted to the mound. See High-A write-up for more. Brian Rauh had two “rehab” starts for Hagerstown and spent most of the year in Harrisburg. See AA write-up for more. 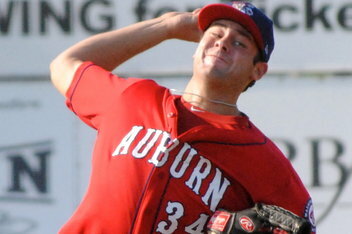 Robbie Dickey had two starts in Hagerstown before getting dumped back to Auburn. See Short-A write-up for more. Robert Orlan had one spot-start for Hagerstown; see the reliever section. Wirkin Estevez spent the entire season on the D/L: he’ll compete for a Low-A rotation spot in 2016. Hagerstown Relievers: taking a look at the relief corps. We’ll organize relievers by going by IP from most to least. Anyone with less than 10 IP will get cursory analysis at the end. Andrew Cooper: 2-2, 3.53 ERA with 35/16 K/BB in 63.2 relief IP for Low-A Hagerstown, 3.63 fip, .283 babip. Improved his numbers across the board while repeating Low-A. Still isn’t getting the K/9 we’d like to see though. He’ll be 24 in High-A next year in what probably is a make or break season. Outlook for Next season: High-A bullpen. David Napoli went 7-5, 4.01 ERA with 62/36 K/BB in 60 relief IP mostly for LowA Hagerstown. 3.57 fip, .289 babip. He started with Potomac but spent most of the year in Hagerstown, despite turning 25 during the season. If anything, his numbers took a step back from his 2014 Hagerstown campaign, and given his age and the glut of arms in the system, time may be running out. Or maybe not: i mean, he signed for $15k and basically cost the team nothing and eats innings; that kind of guy is useful to have around. Outlook for Next season: High-A bullpen. 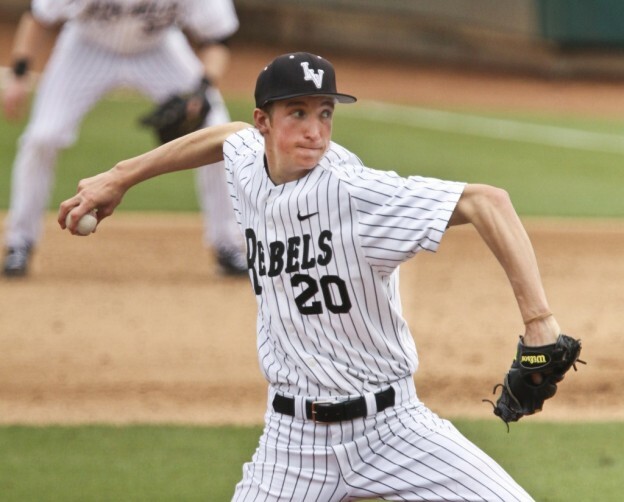 Robert Orlan went 3-1, 3.00 ERA with 85/28 K/BB ratio in 72 relief IP between LowA and HighA. Orlan bounced between Potomac and Hagerstown all season, ending up in HighA with pretty good numbers in a “more than a loogy” role. Especially impressive is 85 Ks in just 72 ip. He’s older for these levels, inarguably, but could put himself in a good position by continuing to succeed in 2016. I see him in the Potomac bullpen again with an eye towards a June promotion to AA when the short-season promotions come due. Outlook for Next season: High-A bullpen. Samuel Johns went 3-4, 4.31 ERA between LowA and ShortA with 39/17 k/bb in 62.2 relief innings, 4.63 fip, .290 babip in lowA. He struggled in LowA, but then dropped back to ShortA and was dominant. Not great, but certainly not bad for a 31st round 5th year senior as compared to what has happened to other 5th year senior signs on this list. Maybe not the best stuff, but has been effective. My guess is that he either makes the Hagerstown team next spring or is cut loose, but the fact that he hung around this long gives him some more room to work with. Outlook for Next season: Low-A bullpen. Kevin Perez threw 36 relatively effective innings for Hagerstown after throwing 18 relatively ineffective innings for Potomac to start the year. The team signed him as a MLFA early in 2015 after he was dumped out of the Low-A Royals affiliate but I doubt he showed the team enough to stick with him given the number of arms rising out of the short-season rosters. Outlook for Next season: out of the organization. Deion Williams, went 1-2, 5.46 ERA with 22/18 K/BB in 29.2 relief innings with Hagerstown. Williams was drafted as a SS but converted to the mound after a year or so. Since then, he’s struggled, somehow making it onto the full-season Hagerstown roster in June after sitting in XST for two months. 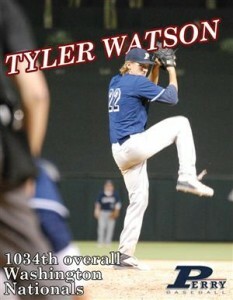 There, he continued not to impress; his career ERA is now 6.12 across 103IP and the three lower levels of the minors. I could see 2016 being a “make it or break it” year for him; he either makes the full season bullpen or he’s cut. Outlook for Next season: Low-A bullpen competition. Koda Glover went 1-1, 1.80 ERA across 2 levels, getting promoted to Low-A after just 6 IP in Short-A. Of course, in those 6ip he gave up just one hit and struck out 11, so it was pretty clear he was over-qualified for the league. For the season: 38/2 K/BB in 30 ip (19app), 2.44 fip, .288 babips in LowA where he spent most of the year. 38 to 2 (!!) K/BB ratio in 30 innings. No wonder he was an over-slot deal; the 2015 draftee is one of the highest rising guys in the class so far. Glover profiled very well and should be in the mix for a High-A bullpen slot in 2016 already. Outlook for Next season: High-A bullpen. Brett Mooneyham was 0-2 with a 6.41 ERA in 19 ineffective innings for Low-A Hagerstown before the Nats finally cut the cord and released him on 6/3/15. Mooneyham was in Low-A for the third successive season, having failed to make the cut in Potomac in each of 2013 and 2014. You’d have to say that he’s one of the more higher-profile drafting failures of the Mike Rizzo era. Or maybe not; the team had to go over-slot to sign Giolito and may have skimped for the rest of the draft. Outlook for Next season: out of the organization. Ryan Brinley went 1-4 1.44 ERA across 3 levels this year with a 16/1 K/BB in 31.1 ip, 3.85 fip, .292 babip in low-A (where he ended up). Great 27th round find so far in Brinley, who may not have a ton of swing and miss but certainly seems to have some command (1 BB in 31 innings??). Could be a nice little middle relief option going forward, someone who can keep his team in games. I could see him in the High-A bullpen next year based on his command of Low-A. Outlook for Next season: High-A bullpen. 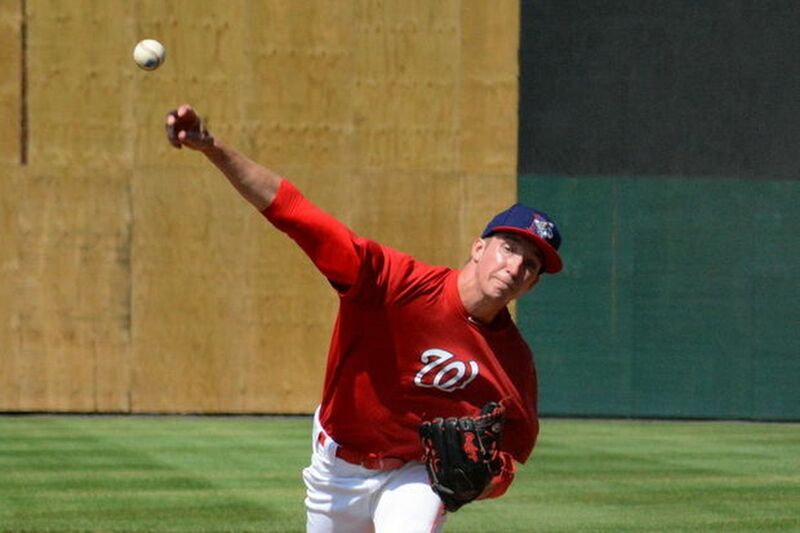 Jake Walsh threw 17 scoreless innings in Hagerstown before getting bumped up to High-A. See High-A write-up for more. David Ramos threw 13 innings of middle relief for Hagerstown before getting hurt; he spent most of the summer going “rehab” assignments all throughout short-season ball before being “activated” once the full-season was done. Not much to glean from his season; his ERAs were not pretty anywhere he went. He’s now 24, in his fourth pro season outside of the DSL and has yet to post an ERA below 6.46 in any of his multiple stops. Honestly, I’m surprised he made the full-season bullpen in 2015. I’d guess he’ll take another shot at Hagerstown’s bullpen in 2016 and if he doesn’t make it, he could be facing an April 1 release. Outlook for Next season: Low-A bullpen competition. Tommy Peterson: threw 6ip in the last week of the season: see Short-A write-up. Tyler Mapes threw 6 shutout IP before getting bumped to Potomac: see High-A write-up. Joey Webb threw 5 innings early in the season before ending up in Auburn. See Short-A write-up. Luis Torres threw 3 innings to cover in mid July: See Short-A write-up. Diomedes Eusebio is normally a 1B and threw one inning at some point. It was a successful season for Hagerstown hurlers; I count 6-7 guys who earned promotions by pitching well in Hagerstown. A good number of them should feature in 2016 for either Potomac or Harrisburg. This didn’t help the Suns much, as they finished both halves right around .500, not quite good enough for a playoff spot. 2016’s staff will have some familiarity to it; I think a good portion of the 2016 opening day rotation will look just like the 2015 end-of-season rotation, mirroring the Nats recent habit of having players repeat levels in overlapping seasons and doing mid-season promotions.